Arcade light gun holsters made in the USA. 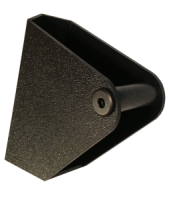 Specifically designed for mounting virtually anywhere on the arcade cabinet. On the top of the control deck, the side of the arcade cabinet or even on the side of the controller itself. Includes permanent double-sided mounting strips.